Looks like I was doing this exact same thing one year ago, too! 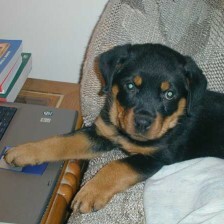 Same beautiful dog, same wonderful handler, same situation with me scrambling to put together an ad for The Total Rottweiler Magazine right on deadline. 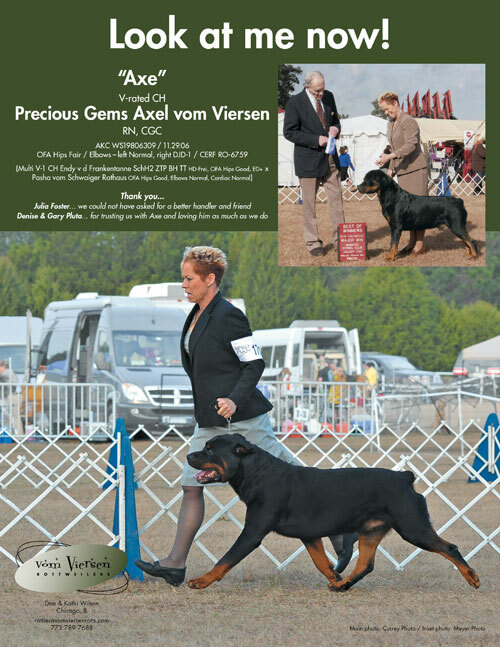 This ad will be running in Issue 2 / 2010 of The Total Rottweiler Magazine. 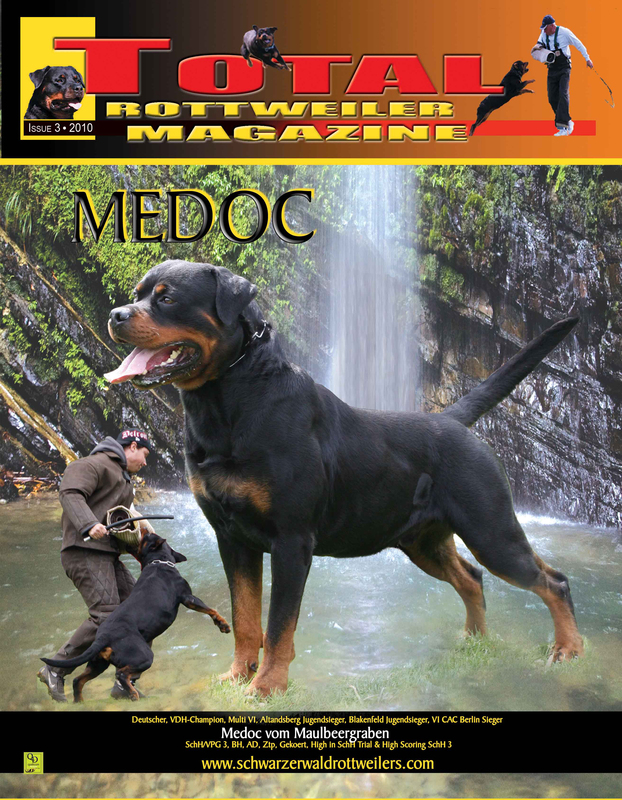 Please check out the magazine if you love Rottweilers! I am on staff as a volunteer (unpaid) proofreader and copyeditor, so I definitely have a connection and an interest in the magazine’s continued success.